The term “big data” was coined to identify complex data sets requiring massive computer processing to access usable information. Companies like Target use it to identify when and what customers are most likely to buy. They convert data for a variety of sources into information that is used to create irresistible marketing messages. Searching through multiple databases to find the variables that help target customers is not for everybody. You have to be statistically inclined and able to identify trends before they become obvious to the rest of the world. Target famously outed a pregnant teenager to her father by comparing her purchase history with known behavior of expectant mothers. 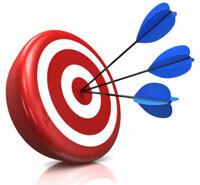 The company’s revenue growth is attributed to the ability to accurately match promotions to an individual’s behavior. What if your company doesn’t have the statistical chops or deep pockets to mine data for those golden nuggets that improve business? Target was a multi-billion dollar company when its marketing strategy expanded to include big data. The resources to mine information out of volumes of rapidly changing data were readily available. When speaking with people about data mining, I’m often told that they do not have a marketing team with the needed statistical ability or the cash to hire a third party capable of mining big data. This view is short-sighted and counter-productive. The lack of resources isn’t important because most companies don’t need an extensive data mining program like Target. The bigger the company the less room there is for growth. Target has to find creative ways to generate revenue because the company has saturated most of the market. If your business isn’t on scale with big box stores, you don’t need big data to grow. You need mint data. Prospect source and activity. Companies used to search for prospects. Now, prospects find companies. Instead of being identified and targeted by how closely they matched a customer profile, prospects appear without pre-qualification. This requires companies to find other ways to qualify and segment them. Customer buying behavior. Knowing how, when, and what individuals buy helps create targeted marketing messages designed to provide the right promotion at the right time. It also reduces marketing costs by minimizing investment in hit-&-run shoppers. Service levels. The quality of service has a direct effect on marketing success. Monitoring the cause and effect of service levels shows where improvements generate the best return on investment. Everybody wins when the marketing and service departments work together. Traditional metrics. Direct marketers identified key metrics like RFM (recency, frequency, monetary value) that qualify buyers. These metrics still work. They may not be as effective as in times past but disqualifying them without testing is premature. Converting the data in your systems into usable information is the first step toward harnessing big data. Begin small with the data that is easily accessible and expand as you learn what works and doesn’t. You don’t need a brain trust or deep pockets to benefit from analysis. For information on how you can improve your data management, email Debra at dellis@wilsonellisconsulting.com.